EDINBURG — As the final seconds were ticking away in stoppage time of the Houston Dynamo’s U.S. Open Cup match against North Carolina FC on Wednesday, Houston’s Jose Escalante flicked a header toward Ruben Luna in the middle of the penalty box. Looking back on the play, Luna said he probably should have attempted a bicycle kick. Instead, he played the ball with his chest, juggled once with his right foot and then turned to hit a right-footed volley. Hounded by a defender, Luna misfired on the attempt, and his first career game with the Dynamo headed into extra time. Luna was one of seven RGV FC players signed to short-term deals with the Dynamo on Wednesday ahead of the match, which Houston won 3-2. Also in action for Houston were Dynamo roster players and Toros regulars Taylor Hunter, Joseph Holland, Jose Escalante and Memo Rodriguez, who scored the game-winning goal in the 109th minute. RGV FC coach Junior Gonzalez said the group’s experiences will be valuable both for their personal development and for RGV FC. Toros Charlie Ward and Eric Bird both started for the Dynamo on Wednesday. Luna subbed in during the 78th minute, and Jorginho James subbed in during the 111th minute. Kai Greene, Kyle Murphy and Camilo Monroy rounded out the group of RGV FC signees, though none of the three appeared in the match. Gonzalez said even those who didn’t play will benefit from the process of training and going through a pregame routine with the first team. Luna said he learned from watching 37-year-old veteran Vicente Sanchez, who started for the Dynamo on Wednesday. “Playing with all of these guys who have a lot of minutes in the MLS is really, it’s motivating for us,” Luna said. Although Wednesday’s game did not end until about 11:30 p.m. EDT, Luna said he and his teammates caught a return flight to Houston at about 6 a.m., then were back in the Valley for training with RGV FC by 6 p.m. Thursday. The demands of the Dynamo have left the Toros with fluctuating starters and a depleted bench in their past two outings, and the lineup for RGV FC’s match at 7:30 tonight against LA Galaxy II remained unsettled as of Thursday. The Toros are also looking ahead to another quick turnaround, with a match at Sacramento Republic on Wednesday. Gonzalez said he leans on trainers and sports scientists like Dynamo Sports Performance Director/Fitness Coach Paul Caffrey to dictate who is available and for how many minutes in a given match. Gonzalez said he talks to Dynamo coach Wilmer Cabrera, general manager Matt Jordan and assistant general manager Nick Kowba on a daily basis about which players will be brought up to train and potentially play with the first team. The Dynamo’s next U.S. Open Cup match will be June 27 or 28 against Sporting Kansas City, presenting another opportunity for the Dynamo to sign Toros to short-term contracts. Typically, an MLS team will utilize more of its first-team players as it gets deeper into the tournament, Gonzalez said. Luna said he wasn’t given any indication whether he’ll be brought back up to the first-team level. His primary focus is simply on scoring goals, he said. “As long as we keep doing well here, I think we have the possibility of going back up,” Luna said. 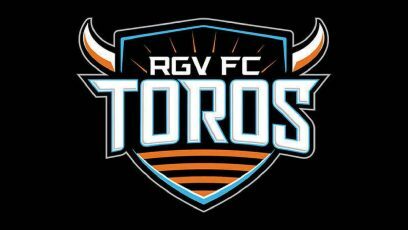 Luna added that not knowing who could potentially be called up, or even who will be in the lineup for RGV FC, makes the group more competitive. The shuffle has also given Gonzalez an opportunity to play and evaluate some of his lesser-used players. TJ Casner has notched his first two starts of the season in RGV FC’s past two outings, and Leo Ayala played all 90 minutes in his RGV FC debut last weekend.